Fusee is a very good dog. Her owner, Elsa, counts the pup as her best friend. So when she got pregnant, Elsa knew she wanted to give her pooch the celebration she deserved. She scheduled an elegant maternity photo shoot fit for a queen. Eight weeks into Fusee’s pregnancy, Elsa roped in her sister’s boyfriend, Clayton Foshaug, to photograph Fusee in all her expectant glory. 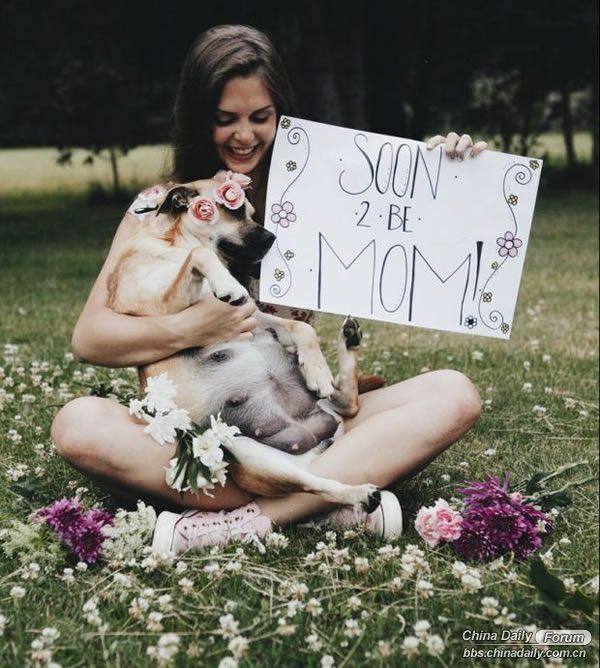 He got the duo to pose in the park with flowers, a "soon 2 be mom" sign, and Fusee even donned a floral crown.